Wesley was thankful to God for the shelter he had found in the spring-house. And he wrote of a place of shelter open to all in Christ. People still need a shelter from life’s storms. People still need a place of quiet refuge. People still need a place where they can connect with one another and with God. The church has what we want. 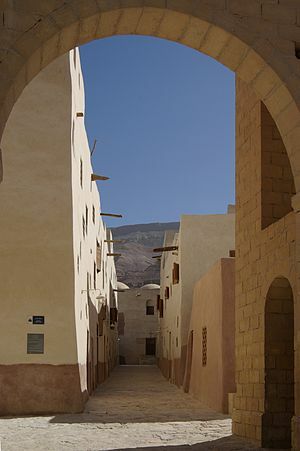 The Desert Fathers were monks, asethics and hermits who lived mainly in Egypt beginning around the third century. Their objective was to remove themselves from the many corruptions of the world and to seek God in the “emptiness” of the parched dry desert. 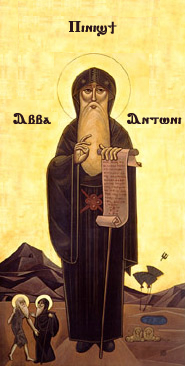 The greatest of these was Antony who live a remarkably long life of 95 years and is considered the father of monasticism. Their main practices were: love for all men, silence and stillness to wait for God, recitation of scripture and withdrawal from society. They truly tried to get as close to God as possible.